The Fall Creators Update is in the can, and Microsoft's busy with what's next. Even as Microsoft winds down the Windows 10 Fall Creators Update, its Insiders are still receiving new capabilities. Case in point: Insider Build 16273, which adds a new mixed-reality mode, the chance to try out Windows 10 S, and even a rather interesting new font. What this means for you: If you’re an Insider, it doesn’t mean an end to new builds—far from it. Instead, you’ll receive those builds more quickly as Microsoft starts smashing bugs. What it does mean (right, Microsoft?) is that we’re seeing the end of new features for the Fall Creators Update, and a general slide into the more formal, stable release. Keep in mind, though, that Microsoft has split or “forked” its builds: While the majority of improvements are slated for the Fall Creators Update, the first of these new features is actually part of the “Skip Ahead” or “Redstone 4” track, one release beyond the FCU. While hardware and software makers alike hope that virtual or mixed reality will be the next big thing, consumers will still need a reason to buy additional hardware. Microsoft’s shown off mixed-reality hardware at its Build developer conferences, but Insider Build 16273 adds a new feature: mixed-reality support for View 3D. 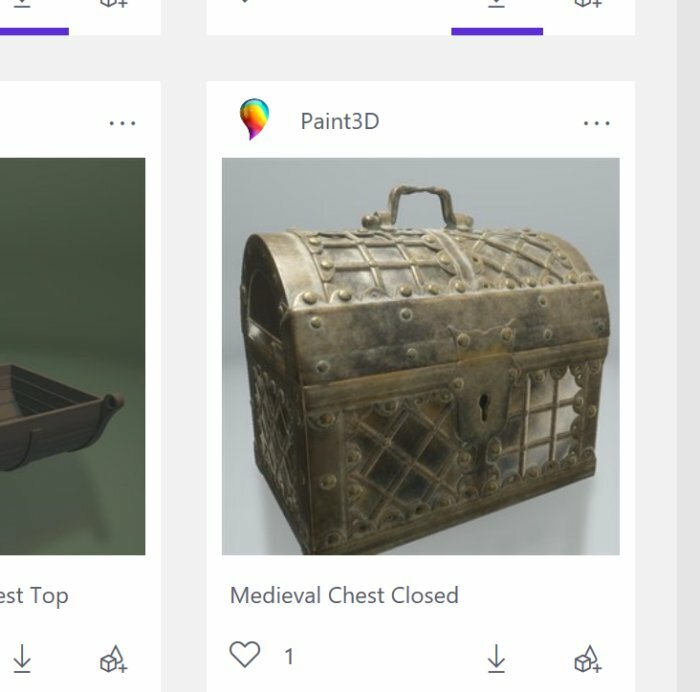 Paint 3D, already within Windows 10, allows you to create 3D scenes. 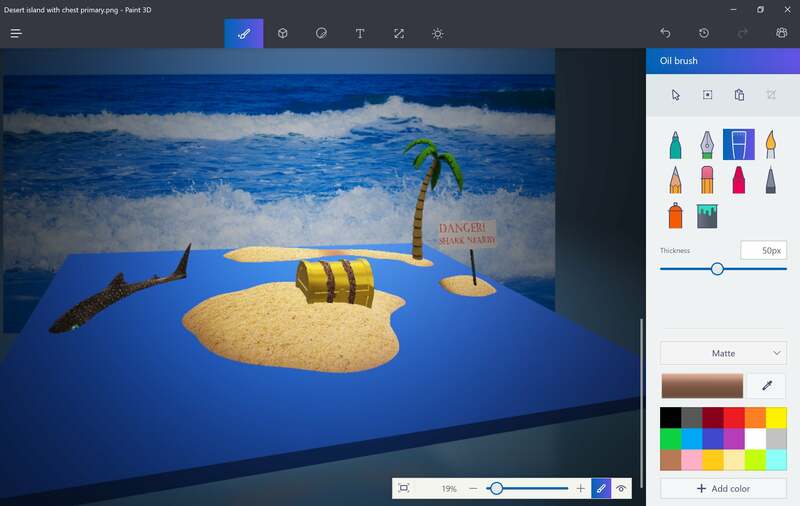 Remember that Windows 10 now includes Paint 3D, a rather fun 3D content-creation tool for designing your own 3D dioramas. While you can view and edit those scenes within the Paint 3D app itself, you can also export them to View 3D for viewing. It’s sort of like a bare-bones Photos app, but just for 3D objects. Inside Build 16273, you can now “view” objects in View 3D via mixed reality. What this doesn’t mean, though, is that you have to buy a mixed-reality camera. Instead, you can use your laptop’s rear-facing camera to take a picture and project the 3D object into the scene. Though we haven’t tried it yet, that seems like a smart way to begin pushing mixed reality without requiring additional hardware. 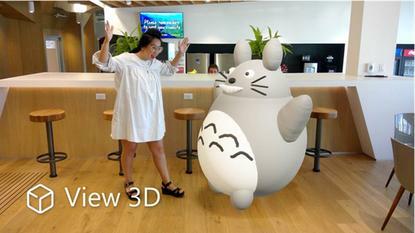 Microsoft has a built-in collection of virtual objects, too, within its Remix 3D service. The one catch? This is the feature that’s part of the “Skip Ahead” track of Insider Builds. If you’re not already within the “track within a track” of the Skip Ahead branch, even “generic” Insiders won’t see this until the Fall Creators Update drops, at which point the two tracks will converge again. If you disagreed with our three-star Windows 10 S review, Insiders have a chance to try out Windows 10 S for yourself. Remember, you’ll be limited to the Windows Store, with all of the restrictions that are attached to Windows 10 S.
Sorry, Insiders with Windows 10 Home: Don’t think that you’ll be able to download Windows 10 S, then upgrade to Windows 10 Pro. This trial is available only to those Insiders who already have Windows 10 Pro or Windows 10 Enterprise on their system. Designers may be thrilled by the new Bahnschrift font, Microsoft’s own rendition of the DIN standard used by some European road signs. Not only is it utilitarian, but the font was designed with a spectrum of “weights,” or what we usually think of different font widths, including the common boldface. As you can see in the graphic below, Bahnschrift gives you many more choices. Microsoft also notes that each weight leaves the width of the character unchanged, so changing weights doesn't mess up your layout. If you’re an Insider, two key bugs were fixed: The Action Center now properly displays notifications, after a bug caused some to disappear. Also, certain websites that didn’t render properly when in InPrivate mode are now able to do so. Finally, Microsoft publicized its Windows Insider Emoji bot, a test bot that we’ve been using to test out My People. If you add the bot to Windows’ My People experience for Insiders, you can message it with “test” and it will send you emoji that will pop up on your screen. Stay tuned for PCWorld's guide to My People and other new features in the Fall Creators Update.